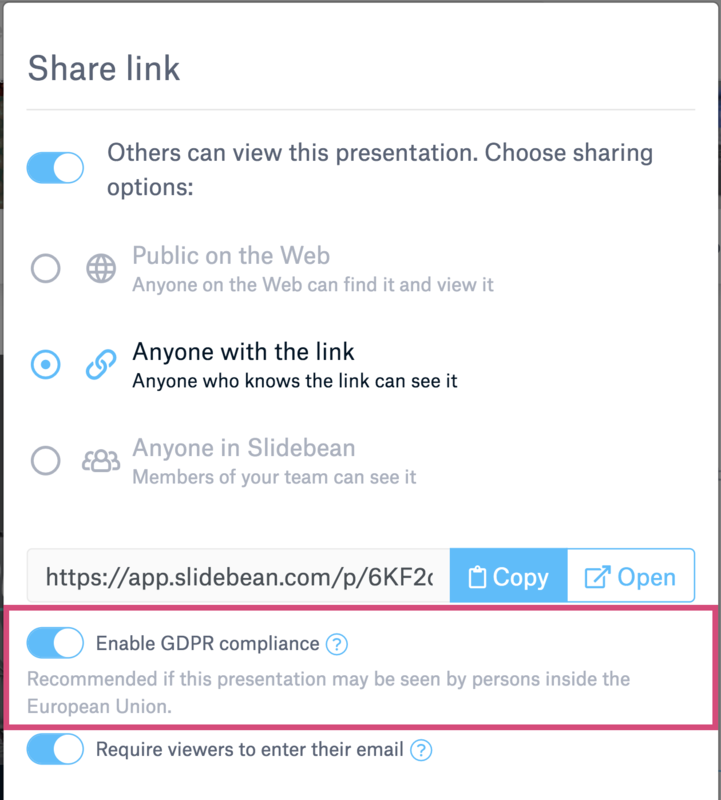 In accordance to the new General Data Protection Regulation (GDPR), some updates have been made to the way Slidebean handles user and viewer data, for shared presentations. 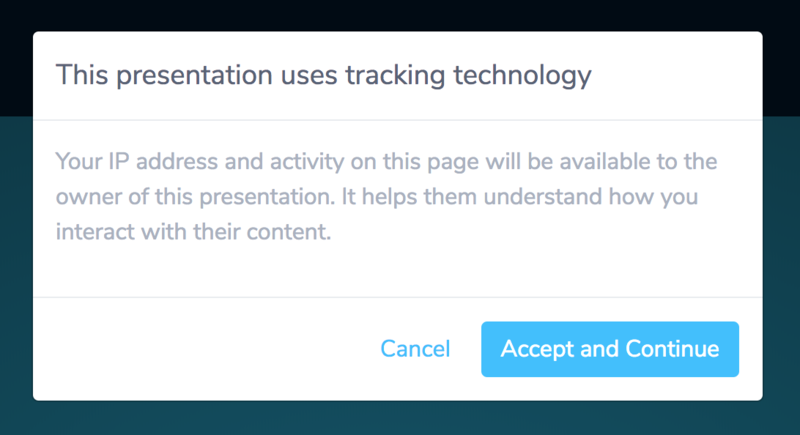 Since our Presentation Insights feature allows the presentation owner to collect data on who sees the deck, EU viewers will now need to consent for their data to be tracked on this feature. Presentation owners whom are sharing a deck with viewers in the EU, will be required to allow the viewer to provide or deny consent if they wish to be compliant with the GDPR legislation. According to the GDPR guidelines, this is required when sharing a presentation that may be seen by people in the European Union. When a viewer opens the presentation, they will be prompted to agree with their data being tracked (activity, IP address). 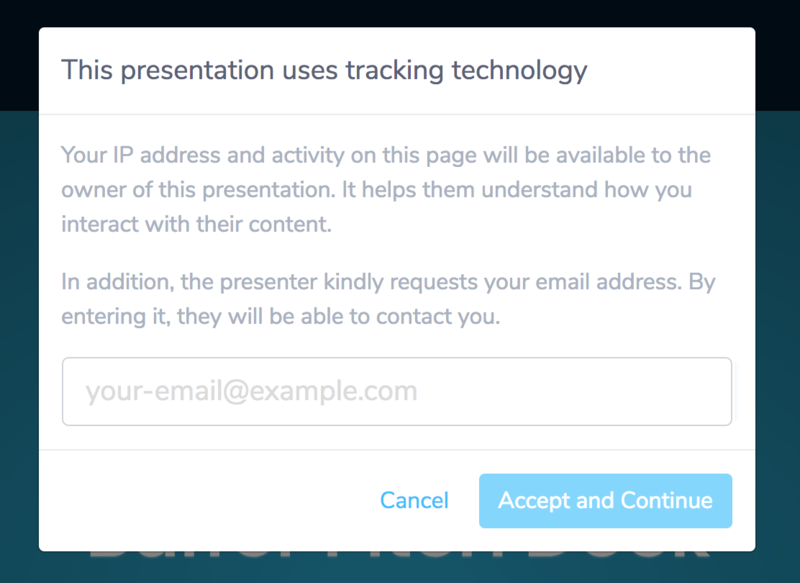 If you also want to collect emails from these users (optional), an additional option will show up to them to allow or deny consent to the presentation owner to reach out to them. Insights is intended to empower presentation creators, by allowing them to stay on top of their audience's reaction to their slides. Doing this, while ensuring full protection of your data is a priority for us. Will the dialog show up to everyone? No, the GDPR dialog will only appear to viewers from the European Union. We determine the user location based on their IP address. What happens if I don't enable the dialog? The GDPR legislation extends to citizens of the European Union and so far it is not required by other countries. It is your responsibility, however, to be compliant with these regulations if you are collecting data from EU-members. When collecting customer data (activity, IP addresses, emails...) you are functioning as the data controller, and Slidebean is working as the data processor, which means it is your responsibility to confirm consent.